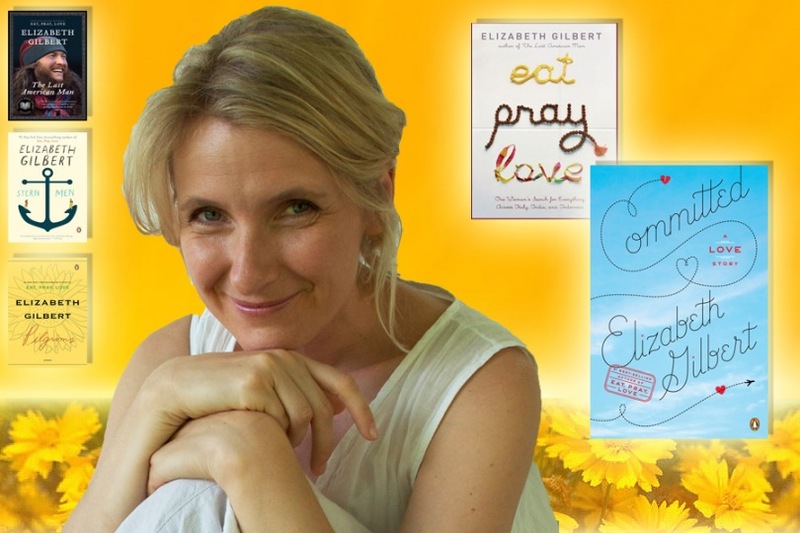 Elizabeth’s new release is a cookbook. 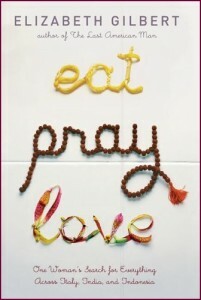 Elizabeth Gilbert’s Eat, Pray, Love was at the top of my reading list when I planned a trip to Bali last year. The memoir so impressed me that upon arriving in Ubud, I followed Gilbert’s path to meet healer Wayan Nuriasih in person, and tried her herbal jamu (traditional Indonesian medicinal concoctions). 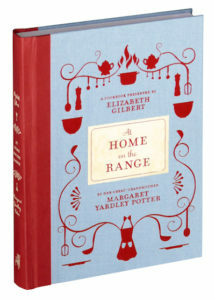 And when I heard Gilbert and her latest book—a cookbook called At Home on the Range —would be the subject of one of the famous Book Passage Cooks with Books events at Left Bank restaurant in Larkspur, California, I looked forward to meeting Gilbert herself. Gilbert is honoring her in another way, too. All the author’s proceeds from At Home on the Range go to ScholarMatch, an organization that helps make college accessible for high-achieving, under-resourced students in the San Francisco Bay Area. Thanks to generous contributions like Gilbert’s, ScholarMatch is sending 72 students to college in 2012, and sales of At Home on the Range have already provided scholarships for 20 Bay Area students. I was delighted to contribute to the cause for many reasons. I have enjoyed several of Gilbert’s books; Book Passage is a fabulous indie bookstore that I’m happy to support; I believe in the work ScholarMatch is doing. And there’s this… Left Bank’s Chef de Cuisine, Fabrice Marcon, had created a remarkable dinner for eighty-five with a twist. At Home on the Range is more than a cookbook, though. Gilbert describes it as a “national treasure of culinary history.” Margaret Potter was a confident culinary writer. 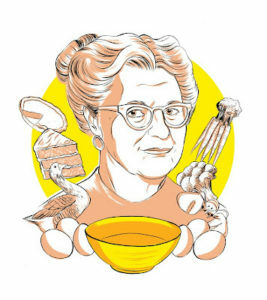 Almost a generation before Julia Child came onto the scene, Potter was boldly advocating for American women to adopt French cooking techniques, eschew processed foods, and use an artisanal and ethnic approach to grocery shopping. Surely you know Jewish or Italian or Greek people, Margaret exhorted. Follow them and buy food where they do, she exclaimed. Entertaining as they are, each of the stories has a point about the importance of hospitality, generosity, a relaxed sense of humor, and celebrating one’s own sense of style. And that is what Gilbert is all about, too. Elizabeth has clearly inherited her great-grandmother’s warmth, wit, and rollicking “Family Voice.” She began writing about extraordinary men for magazines like SPIN and GQ; in her first novel, Stern Men; and in The Last American Man, the true story of Eustace Conway. At 17 he moved from a comfortable suburban life to become an Appalachian mountain man, living off the land for twenty years. As it turned out, the memoir was made into a major motion picture, and her story was so popular it earned Gilbert a spot as one of Time Magazine’s 100 most influential people in the world in 2008. That best-seller was followed by Committed, a combination of personal introspection, interviews with Hmong grannies in the mountains of Vietnam, who were confounded by the very question of what makes a “good” husband, and research into the varied historical permutations of the institution of marriage. And now, the cookbook. 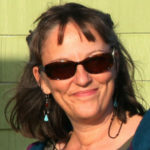 Gilbert is as at home with this genre as she is with fiction, profiles, and memoir. The book includes a “Selected Recipes” section of Gilbert’s personal favorites, rewritten and clearly notated so the reader doesn’t need to wade through Potter’s charming but sometimes tricky narrative style. 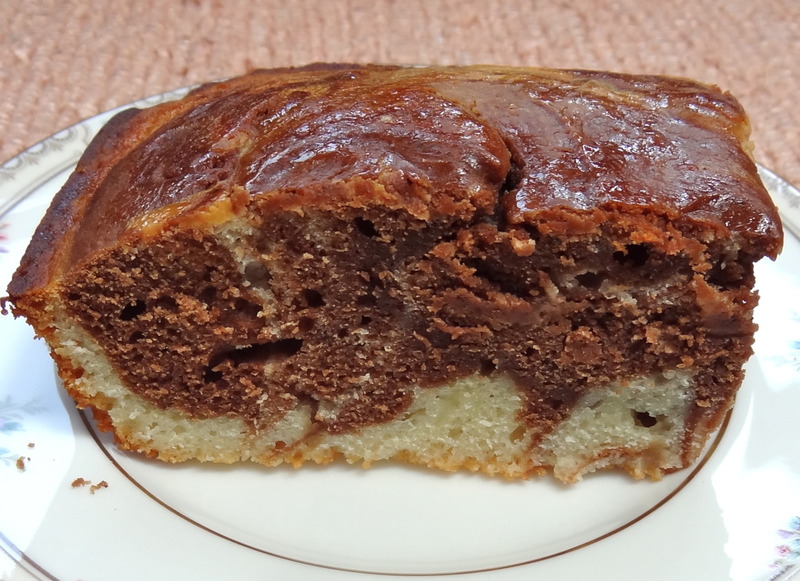 Mom's Marble Cake from "At Home on the Range"
What’s next for Gilbert? She’s chosen to write an historical novel, just to further mix things up. She is penning the story of 19th-century botanist Alma Whitaker’s world travels in search of a rare moss. All and all, it was a delicious evening. I took advantage of the opportunity to thank Elizabeth for writing Committed, which resonated with me on a deeply personal level. I was delighted to learn that the author of two best-sellers was, in person, warm, thoughtful and gracious. And I got the recipe for that fabulous Pea Vichyssoise while contributing to a deserving scholar’s education. Laurie McAndish King got to meet healer Wayan Nuriasih, tried her jamu, and wrote about the experience in Wandering in Bali: A Tropical Paradise Discovered. A longtime floraphile, Laurie has conducted fieldwork on medicinal plants in Argentina and Brazil and learned about herbal remedies from a South American shaman. She spends as much time as possible in her own garden in northern California.